Lawsonia inermis, Indigofera tinctoria, Azadirachta indica, Wrightia tinctoria, Coconut Oil. 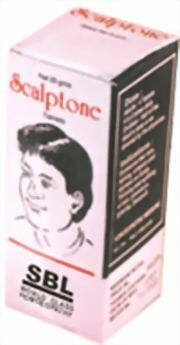 It is effective in scaly skin eruptions especially in psoriasis, pruritic disorders of scalp, body. Also effective in dandruff. For external use only. Apply over the affected part. Aloe Barbadensis Gel, Jojoba ext., Rosemary ext., Bhringraj ext., Shikakai ext., Vetiver ext. For soft, silky manageable hair, provides shine and glow, imparts strength to the hair, also helps to check dandruff, hair falling, rough hair. Apply to wet hair and gently massage all over scalp and leave for few minutes. Rinse thoroughly. Repeat and rinse until hair is cleansed thoroughly. This intensive serum is blended with pure extracts of mountain ebony, long pepper, glycyrrhizin and the euphorbia tree, to promote new and healthy hair growth. Stimulates hair, from root to tip, and leaves scalp feeling toned, exhilarated, free from dryness and irritation. Neem, Mulethi, Pippali, Kusumbhi, Pudina, Kachnar, Himalayan Water. Organic Aloe Barbadensis leaf juice, Honey, Tearless shampoo base. It helps to make healthy, bouncy and shiny hairs. For external use only. Apply to the scalp and massage gently. Rinse off. Can be used daily. Jivanti, Jala, Devadaru, Musta, Twak, Usira, Sariva, Daru haridra, Yashtimadhu, Satavari, Bilwa, Kantakari, Rasna, Sala parni, Prsni parni, Vidanga, Teja patra, Renuka, Bala, Til. It is advised in headache, sinustitis, nasal polyp, hairfall, dryness of skin. 2 – 3 drops to be instill in each nostril 1 – 2 times a day. 1. It is natural laxative derived from nature. 2. It relieves muscle strains and inflammation. 3. It is a safe laxative for pregnant women and children. 4. It protects the scalp from microbial and fungal infections. 5. It is good for dry skin. 6. Is effective for burns and wounds. 1 � 2 teaspoonful with warm milk before bedtime. Aloe Soothing Shampoo penetrate deep into the scalp, gently cleansing and detangling. The Aloe infuses dry brittle hair with nutrient filled moisture, leaving each strand of your hair shiny and strong. Apply to wet hair, massage into rich lather and rinse. Suitable for all types of hair. Aloe Vera Gel, Neem, Olive Oil, Hibiscus, Vetiver. Natural hair nutrient system that aids hair growth by improving the health of damaged scalp tissue. Vitro Aloe Hair Cream enriched with hibiscus, vetiver & neem aids improves the health of damaged scalp tissue from harsh chemicals, sun burns and hair dryers. Massage into the scalp morning and night and comb. Can also apply after shampooing. For external use only. Aloe Vera Gel, Vetiver Extract . Aloe Mild Hair & Body Shampoo is a gentle luxury shampoo that softens and calms irritation of the scalp. The shampoo can be used for both hair and body. It leaves the hair rich, soft and easy to manage. For external use only. Apply it over the scalp & body and massage gently and then rinse. Aloe Vera Gel, Hibiscus Extract. The shampoo helps to remove the dandruff from the hair gently. Moreover, the shampoo is not harsh on the roots and ensure that the natural shine and texture of the hair is not damaged. Aqua, Aloe Vera Gel, Honey, Glycerin. Aloe shower gel is a blend of ingredients to help to gently cleanse, soothe and moisturize the skin. It leaves skin feeling soft and moisturized and will produce a light foam when used with a body puff. For external use only. Add a little shower gel to your hand or a sponge and rub on your body to form fragnant foam. Rinse off. Neem, Arnica, Tea Tree Oil. 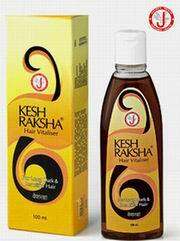 It is a potent double action formulation for dandruff free hair. It helps to restore scalp health, so that fresh dandruff does not form. It also nourishes and moisturizes the hair. Use as a regular shampoo. Wet hair, apply shampoo, lather and wait for one minute then rinse. Shea Butter, Aloe Vera Gel. Shea butter is protective and has slight sun protective factors, particularly helpful with absorbing UVB rays. It is most suited for very dry or mature skin and in very dry weather. Shea butter is also used for the feet to heal cracked heels and torn nails.